Your child's favourite costume could be more dangerous than you think. 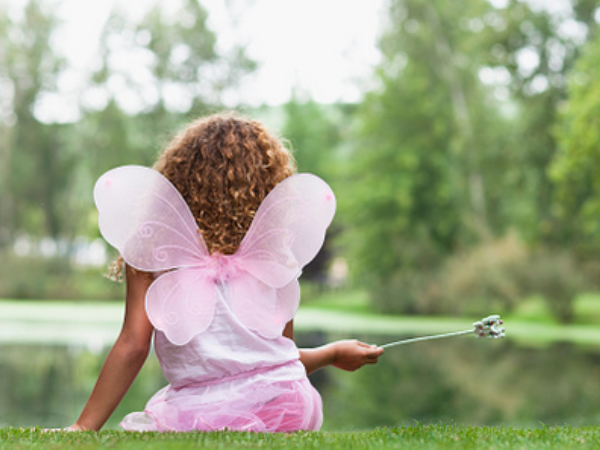 If your child adores princess costumes or prancing around in a superhero outfit, you may want to take extra measures when choosing the fabric it is made from. Just ask the British Strictly Come Dancing presenter, Claudia Winkelman, whose daughter’s Halloween costume caught fire last year and left eight-year old Matilda with severe burn wounds. Matilda and her friends were playing trick or treat, when she got too close to an exposed flame and her dress caught fire. Now, consumer watch dogs are urging parents to take proper care when choosing their children’s fancy dress costumes and to make sure their kids are kept at a distance from fires. The frillier and thinner the fabric, the easier it will burn because it gets more oxygen. Dresses made from thicker material will burn slower and cause less, but still significant, damage. If a child’s costume is made of a variety of fabrics, they can burn at different paces and can result in the fire being fuelled. Look out for these words on labels, which mean the clothing can easily combust: cotton, cotton/polyester blends, rayon and acrylic. Be weary of costumes or outfits with billowy, long, flowing attachments, capes or sleeves as these can accidentally be brought into contact with a flame. Teach your child to keep a safe distance from open fires, cigarettes or anything else that is flammable. Natural fabrics like wool and silk are safer since they are more difficult to ignite and the flame dies down naturally much easier than artificial fabrics.